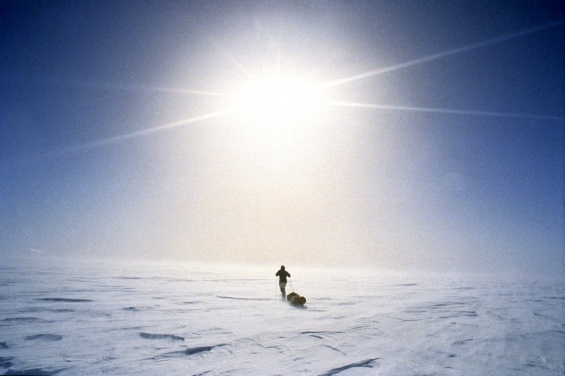 In the early 1990s, Erling Kagge completed the first unsupported solo expedition to the South Pole. He covered 815 miles in 50 days. During that time he had no radio contact and no support from the outside world. He was completely alone. What hit him the hardest was the silence. At first his mind was racing with thoughts and worries. He found the silence disturbing. Kagge’s experience was transformed through silence. It was during the 50 days of solitude and silence in Antarctica that Kagge became struck with the possibility of exploring his mind. After completing several other adventures he studied philosophy at Cambridge. Kagge embraced the study of philosophy with the same energy and passion as any other expedition, only this time he was exploring his own mind. Kagge is a strong believer in making life more difficult than necessary. Obviously, if you’re born into poverty in a developing country, that’s not necessary. The difficulty is provided. But for many of us in the West, where the abundance of convenience can lead to complacency, the lack of struggle is a problem. It is human nature that we need to suffer to meet our goals. If our primary goals in life – attaining daily food, clothing, shelter, a job – are guaranteed, then we can slip into boredom and complacency. When Kagge was a child growing up in Norway, boredom was defined by the lack of things to do, but today, boredom is about having too much to do. We fill up every spare moment of our lives with Netflix, Facebook, apps, games, content, etc. When our attention is continually distracted with mindless digital consumption, life can feel empty. If our lives are made up of moments, and in each moment we are distracted, we will lead a distracted life. But if we challenge ourselves everyday with variety and adventure, making progress toward a deeper purpose, life has meaning. I have written about the importance of solitude. I believe it’s more important than ever, but you don’t need to embark on an arctic expedition to find it. You can find it by walking to work, or a daily run. You can find it by putting your phone down and reading a book. You can experience it by engaging in meaningful dialogue with others instead of scrolling a newsfeed. When we read about people like Kagge, it’s easy to dismiss them as an outlier. Most of us are never going to climb Mt. Everest or reach the South Pole on foot, but that doesn’t mean we can’t have adventure in our lives and cultivate peace of mind. You might think that having a family and holding down a job precludes this kind of curiosity and adventure in your life, but here’s the thing, Kagge has a family and a day job too. Most people underestimate their capabilities. We don’t realize what we can achieve. We put too many limits on ourselves. Find the adventure and the silence in your life.